« Wind, Lighthouses and Humpback Whales! Back in Melbourne again, and it’s a really, thoroughly cold winter this year. The thought of getting out for a walk leave you cold – literally? Think again – Melbourne is the one Australian city you really do want to be in the winter: wandering through the tiny lanes and alleyways of the Melbourne CBD, sidewalk cafes jammed together under toasty warm outdoor heaters, you’re forgiven if you think you are wandering the street in the old town in Genoa or Barcelona. In fact the city of Melbourne comes alive in the winter – there is so much to see and do, and it’s only by getting out and strolling through the arcades, alleys and various nooks and crannies, that you’ll find all the curiosities, tiny cafes with steaming lattes and fabulous street art. 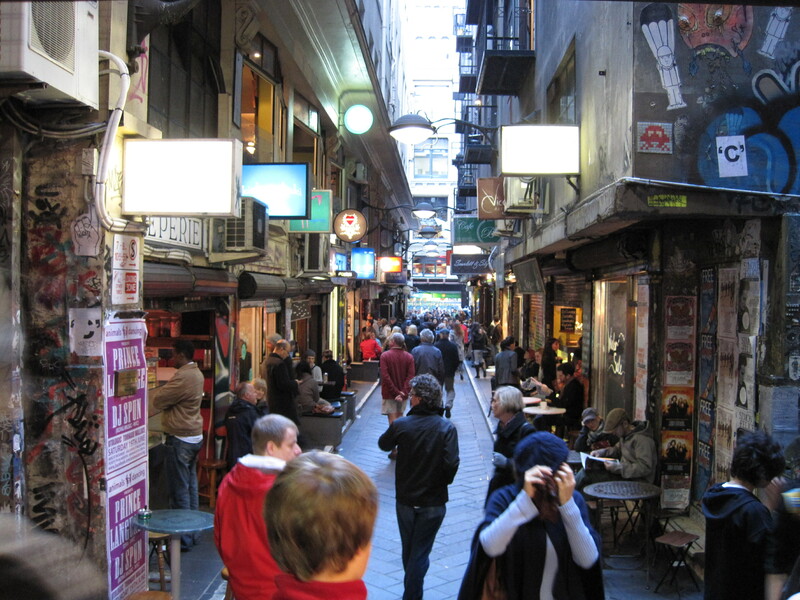 Check out Centre Place off Flinders Lane and go from there. Wrap up warm and enjoy!!! Couldn’t agree more – Melbourne and winter really go together. We loved the lanes last time we were there. We thought it was like being in Europe – but cheaper and friendlier!